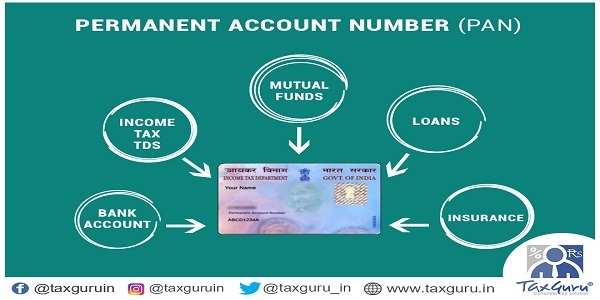 This article lists out the transactions in relation to which permanent account number (PAN) is to be quoted. This list of transaction has been mentioned under Rule 114B of the Income Tax Rules. Every person shall quote his PAN in all documents pertaining to the transactions specified below. a. Opening an account [other than a time-deposit ] with a banking company or a co-operative bank to which the Banking Regulation Act, 1949 applies (including any bank or banking institution referred to in section 51 of that Act). c. Application to bank or other company/institution for issue of credit/debit card. e. Payment of bill to hotel and restaurants ant one time in cash of an amount exceeding fifty thousand rupees. f. Payment in connection with travel to any foreign country or payment for purchase of any foreign currency at any one time in cash of an amount exceeding fifty thousand rupees. h. Payment to a company or an institution for acquiring debentures or bonds issued by it of an amount exceeding fifty thousand rupees. i. Payment to the Reserve Bank of India, for acquiring bonds issued by it of an Amount exceeding fifty thousand rupees. j. Purchase of bank drafts or pay orders or banker’s cheques from a banking company or a co-operative bank (including any bank or banking institution)in cash for an amount exceeding fifty thousand rupees during any one day. (iv) a non-banking financial company which holds a certificate of registration under section 45-IA of the Reserve Bank of India Act, 1934 (2 of 1934), to hold or accept deposit from public. of an amount exceeding fifty thousand rupees or aggregating to more than five lakh rupees during a financial year. l. Payment for one or more pre-paid payment instruments, as defined in the policy guidelines for issuance and operation of pre-paid payment instruments issued by Reserve Bank of India under section 18 of the Payment and Settlement Systems Act, 2007 (51 of 2007), to a banking company or a co-operative bank to which the Banking Regulation Act, 1949 (10 of 1949), applies (including any bank or banking institution referred to in section 51 of that Act) or to any other company or institution in cash or by way of a bank draft or pay order or banker’s cheque of an amount aggregating to more than fifty thousand rupees in a financial year. m. Payment as life insurance premium to an insurer as defined in clause (9) of section 2 of the Insurance Act, 1938 (4 of 1938) of an amount aggregating to more than fifty thousand rupees in a financial year. n. A contract for sale or purchase of securities (other than shares) as defined in clause (h) of section 2 of the Securities Contracts (Regulation) Act, 1956 (42 of 1956) of an amount exceeding one lakh rupees per transaction. o. Sale or purchase, by any person, of shares of a company not listed in a recognised stock exchange of an amount exceeding one lakh rupees per transaction. p. Sale or purchase of any immovable property of an Amount exceeding ten lakh rupees or valued by stamp valuation authority referred to in section 50C of the Act at an amount exceeding ten lakh rupees. what is cash transaction limit if I want to purchase in cash a car above Rs. 6.5 Lakhs. 1. LIMIT TO INVEST IN PENSION PREMIUM? U/S ? 2. LIMIT TO PURCHSE INFRA BOND? U/S ? 3. AGRECULTURAL INCOME REBATE IF ANY AND CALCULATION OF I.T. ? directors can i saw the money as unsequired loan or reserve and povision . 09831680563. thank. and please if i have any kind of grammertical or spelling mistake. none home bank account deposit me kiska pan no.quote kiya jayega,a//c holder ka ya depositer ka ,yadi depositer a/c holder ka staff ho, aur uske pass pan no. nahi ho to kya hoga?